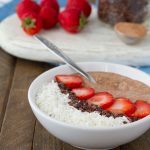 Missing your oat-filled overnight oat bowls? If so, you’re going to love this keto-friendly, low-carb, paleo version of the infamous, “overnight oats”! Made perfect with hemp hearts, these grain-free breakfast bowls are a total win in my book. Just soak overnight, and enjoy in the morning, adding an extra splash of milk before consuming. Add all ingredients to a 12 fl. oz. (350 ml), or larger container with a lid. Stir until combined. Cover and set in the fridge overnight, for at least 8 hours. The following day, add additional milk until desired consistency is reached. Divide between two small bowls, add toppings if desired, and enjoy. I prefer this breakfast with erythritol, but if you are sensitive to corn, you may react to erythritol in which case, you could use liquid stevia. If you have another favorite sugar-free alternative, do it up! For potential leftovers, store in an airtight container in the fridge for up to 2 days. 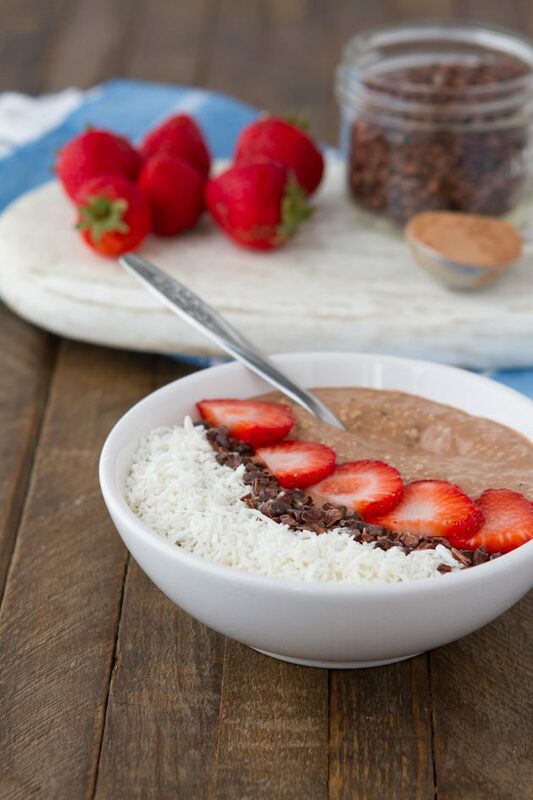 The following recipe ingredients were provided by our friends at SPUD.ca – full-fat coconut milk, organic strawberries and sunflower butter. Get $20 off your first organic grocery delivery on SPUD.ca when you use the coupon code PURSUIT20. I love ordering my organic groceries through SPUD.ca because by getting my groceries delivered, I don’t need to stress out at the grocery store every week! No lines, no shopping carts, no parking, none of the stress. I simply order groceries every Monday evening, and they’re delivered to my door around 5pm every Wednesday! I know when the groceries are coming, I know that the box is going to be filled with my favorites and that the quality is going to be there every time. For me, health is about convenience. And SPUD.ca makes maintaining my healthful lifestyle that much easier.